Are your Home Radiators working at peak performance? Your radiator is a key component to a healthy home heating system, so take its health seriously. Amercraft offers professional radiator installation, radiator retrofitting, and radiator replacement services in Mississauga, Oakville, Toronto and all of the Greater Toronto Area. 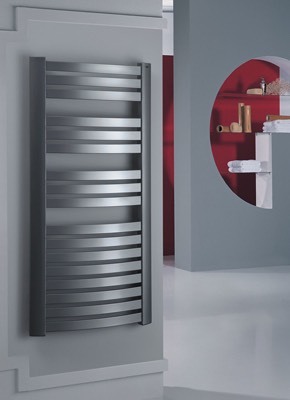 We carry a variety of sleek modern style, and classic home radiators from Europe's leading manufacturers of designer radiators, from vertical radiators and flat panel radiators, to stainless steel radiators and heated towel rails. 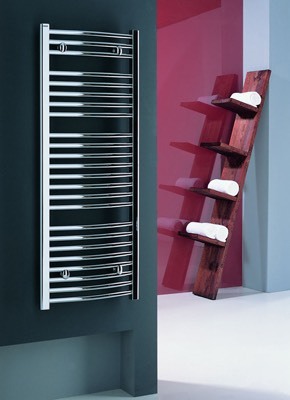 Whether you are thinking of a new installation, a retrofit, or a repalcement, our collection of Home Radiators and Towel Warmers will reflect your individual style. Over the years there have been many innovations in home radiator systems; today there are countless styles of radiators made out of a variety of materials such as copper, brass, and stainless steel. Regardless of what type of radiator your home or business uses, professional radiator installation services will give you piece of mind that your heating system will be fit to perfection, and will perform at it's best. Amercraft can advise you on what type of radiator is best suited for your home, office, business, and budget, and ... we can install it for you. The process is relatively simple; steam or circulating hot water are what prompt a radiator to generate heat. As the water is heated, the radiator(s) gives off heat which in turn warms the air in each individual room either by convection or radiation. Radiation: once the hot water has made its way to the radiator, it will “radiate” heat into the area. Radiation is a small percentage of the overall heat produced by a radiator. Convection: with this process, heated air from the radiator rises. As it does so, cool air is drawn into the underpart of the radiator. This rising and drawing in motion of the air creates vertical currents that evenly disperse heat into the room. In order for a radiator, old or new, to function properly, it requires clear and unobstructed air flow. This means the radiator must have ample access for air to travel under, over, and around the unit. Never place curtains, drapes, sheers, or shades in front of the unit. It is also recommended not to block a radiator with large, solid pieces of furniture. If you have a table or other piece of non-solid furniture equipped with legs, the airflow won’t be hindered as much. You should still leave several inches between the radiator unit and the non-solid piece of furniture if you choose this option. If you are experiencing any of these signs of radiator distress or failure, contact us we can help! Why Choose Amercraft for Your Radiator Installation and Retrofit? We are professionals in comprehensive radiator installation, and retrofit services, that continually keep up with new innovations and best practices. Whether you are in need of a new heating system installation, a replacement or a retrofit in your home or business, we can help. Contact Amercraft Fine Products, the radiator heating installation experts located in Mississauga, Ontario. 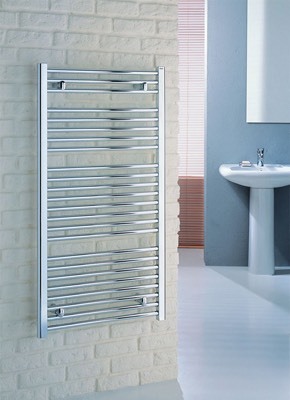 Choosing the right type and size of radiator is vital to heat a room quickly and efficiently. You have to correctly size the radiator to the room that it will be installed in. Factors such as elevation, whether your home is south or north facing, the type of the building, the number of doors and windows, and the type of flooring are all considered. All of these variables can affect the amount of air changes that take place, which in turn affects the amount of Watts/KW’s (Btu’s) needed to heat the room. At Amercraft we know and understand that all of these questions are vitally important and that’s why our radiator installation services come with all of the professional experienced advice that you require. Adding radiant heating to your home is one of the best investments that you can make. We retrofit many home radiators throughout Mississauga and the Greater Toronto area. We will accurately measure and create a customised plan on connecting them to your current central heating system. If your radiators are not heating up, have cold spots or are leaking, we will diagnose the problem and provide advice on the correct solution. All appliances in your home will require maintenance at one time or another, and your radiators are no different. Retrofitting your radiators will ensure more efficient heating and help in reducing your monthly bills. Our affordable home radiator installation services and expert consultation make it easy to retrofit your home with radiant heat! When it comes to the various components of your central heating system, the radiators are some of the least complex to install, but most people still prefer to have a professional's touch. If you're one of these people, look for a service provider that has extensive experience with central heating systems and radiators in particular.